Clearwater, Florida is a big part of Pinellas County, combining the Pinellas Courthouse with the hub of medical facilities, businesses and residences, all of which are just a few miles from Clearwater Beach. The city is always abuzz with activity and sometimes parking spaces are difficult to find, often causing visitors and citizens, alike, to park their automobiles illegally. If your Clearwater place of business is dotted with vehicles stealing your rightful parking spots that are meant to accommodate your customers, you might just need a professional towing company to haul the "trespassers" away. Yes, it's time to get tough and hire our towing enterprise to remove all of those unwarranted parked vehicles away from your establishment. Who are we and what do we do? We are a local company that assists motorists get their autos in running condition once they find themselves in a vehicle that has shut down. Our specialty is towing. Our tow truck operators are highly qualified in the art of towing and hauling motor vehicles of all sorts. Our towing operators and personnel go through background checks and must have clean driving records. Our towing business is licensed and insured. Emergency and non-emergency calls in the city of Clearwater are acted upon asap. We treat every call for help as an emergency. As a business proprietor in the town of Clearwater, you depend on your allotted parking spaces to be there for your clientele. Our towing company makes that happen. If you are a Clearwater citizen stuck on the road or in your own driveway, we can dispatch a tow truck to your location in order to bail you out of a troubling situation. We have a team of knowledgeable tow truck drivers prepared to get you out of a mechanical jam. When one of our team's towers arrives at the point of a vehicle breakdown, he will make sure your vehicle' battery is in working condition and he will check for fluids that may be bordering on low. If the battery needs to be replaced, the tower can take care of it. If the battery only requires a jump start, our tow man can do that. He can also bring gas, oil or water up to a proper level. If one or more of these steps gets the car up and running, then all is good. If the solution to the vehicle problem doesn't fall within those areas, then, most likely, your car will have to be towed. All towable vehicles are handled with care by our tow truck workers in order to prevent causing any further damage. Whether your automobile is a junker or practically new, it is still your property and our towing crews respect that concept. We tow away every type of motor vehicle you can name....from minivans to big rigs. Our towing geniuses have the skill and know-how to work with limos, motorcycles, antique cars, pickup trucks, trailers, military vehicles and much more. We have done police towing and transport towing. Our towing business also offers tractor and cargo hauling for Clearwater and other cities. The reason that our experienced tow truck operators are able to tow multiple vehicles is the equipment that they have privy to. Our tow teams use flatbed trucks, wheel loaders, cranes, forklifts, long beds, wreckers, dollies, winch outs and more, depending on the type of load that will have to be towed to or from your Clearwater place of breakdown. Flat tire? Not a problem! 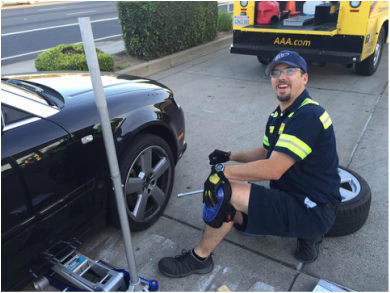 Our tow guys are proficient in patching or changing vehicle tires. It's just one of the many services we offer. If you have ever been locked out of your car or truck in the city of Clearwater or elsewhere, you know the feeling of helplessness that comes over you. Just call our tow business office for help and a towing driver will be sent to assist you and allow you to be on your way. We have the right tools with which our towers can unlock car doors and trunks. If, by chance, your key is stuck in the ignition, our multi-purpose towing employees can extricate it for you. Whatever your predicament, you can rely on our towers' expertise, experience and skill to get you out of it. Living so close to the beach, many Clearwater residents own private boats. On a rare occasion, when a boat is being dragged out of the water, the sand from the shore somehow bogs the watercraft down, making it impossible for human extraction. Our towing drivers typically utilize the assistance of a *winch out in order to pull the boat up from it's entrapment. Once a boat has been "rescued" it can usually be put on a hauling trailer that the owner has or our towing trucks can be used to move it to the requested destination. *A winch is also used to get vehicles out of mud or snow. Our towing company also offers out of town or out of state towing and hauling for Clearwater. If you book a trip outside of Florida and find yourself in a state, such as Georgia, etc.,with vehicle start up issues, our towing personnel are always on call for long distance towing arrangements. Our towing and assistance services come with quality and fair prices and if you have insurance coverage, we will help you navigate the claim process. Clearwater ctizens, remember our troubleshooting and towing company whenever you find yourself sitting on the side of a road or in your driveway with a vehicle in distress. Clearwater business owners, when you need a vehicle towed out of one of your private parking spots, give our towing company a heads up and one of our tow trucks with driver on board will be dispatched to the location. 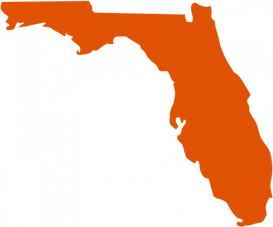 Towing for Clearwater, Florida and around the U.S.